With slick new looks, the AFX FX-41 Helmet offers an aerodynamic shell design constructed with advanced lightweight composite poly-alloy and 17 points of ventilation to keep you looking and feeling cool during a long ride on the mountain side. The new AFX FX-55 Helmet is going to clear the paddock area with its 7 different configurations. You can use this as an open face all the way up to a helmet with an MX chin bar and visor. 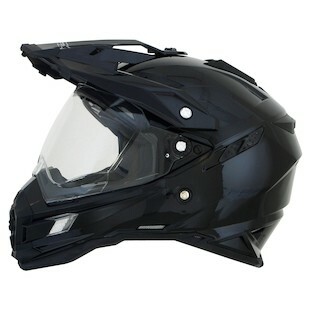 You can ride, race or just look like a champ in this helmet! We hope you are as fired up as we are over these 2 new awesome helmets!